Céad míle fáilte romhat – A hundred thousand welcomes! 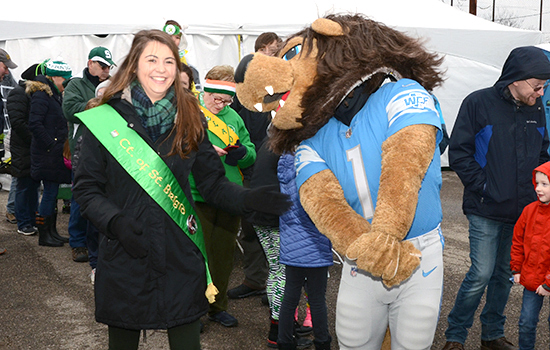 2019 Detroit St. Patrick Parade’s Winners! 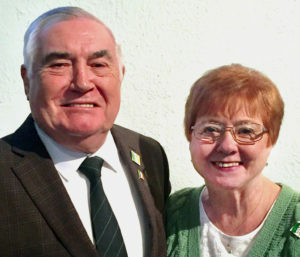 For our 61st year, we are honored to have Paul and Agnes Gowdy as the Grand Marshals! 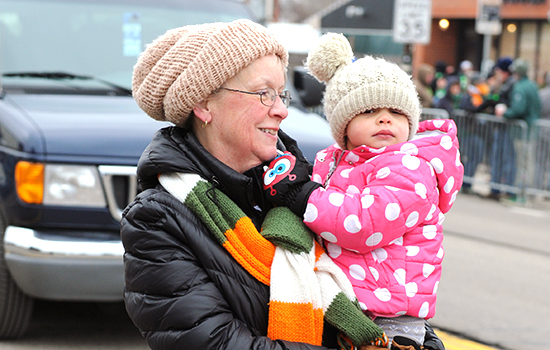 For the 2019 Detroit St. Patrick’s Parade, thousands of families and friends with smiling Irish eyes lined the streets of Corktown! It was our 61st annual Parade. The skies were cloudy, it was windy and damp but the Irish spirit was strong! 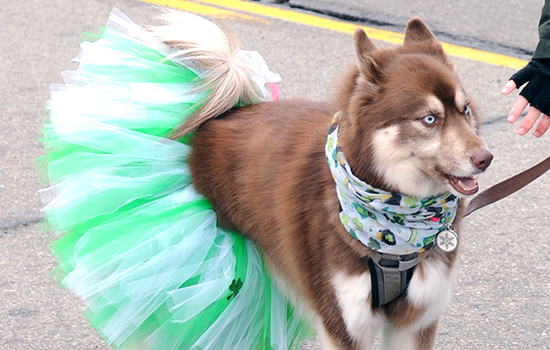 The parade was held on Sunday, March 10, 2019. It started at 1:00 on Michigan Avenue and 6th Street, continuing down to 14th Street. 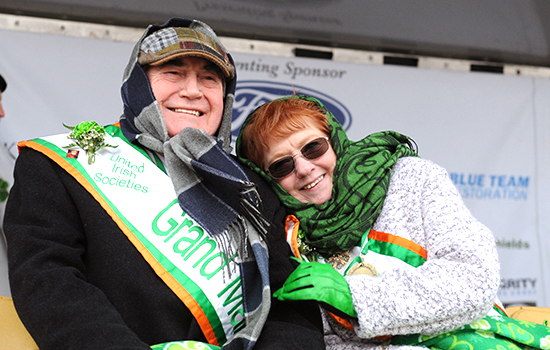 The United Irish Societies (UIS) is the organization that hosts the parade. 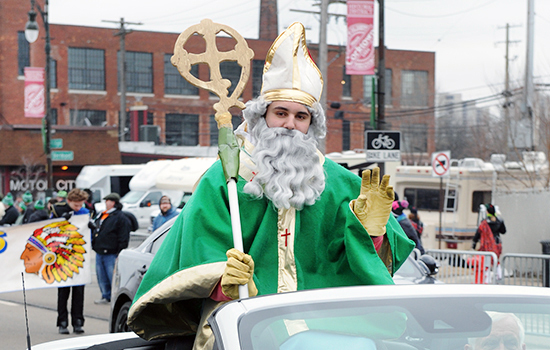 In 1958, the UIS hosted the first St. Patrick’s Parade in Dearborn, MI. 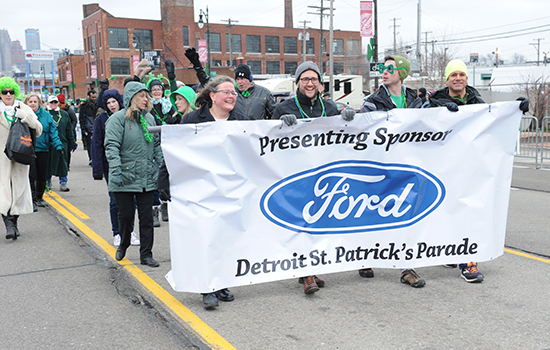 The Parade route follows along Michigan Avenue through the area known as Corktown. 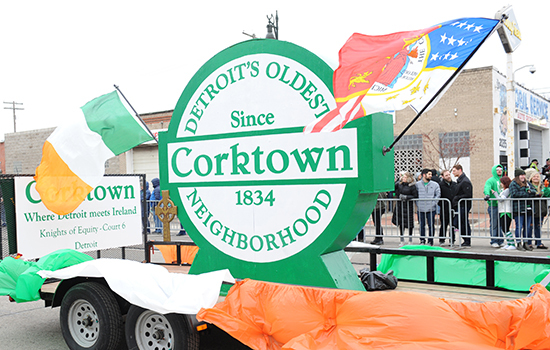 Corktown received its name as the Irish were the largest ethnic group of newcomers to Detroit, most of them from County Cork. The Corktown neighborhood is Detroit’s oldest surviving neighborhood. 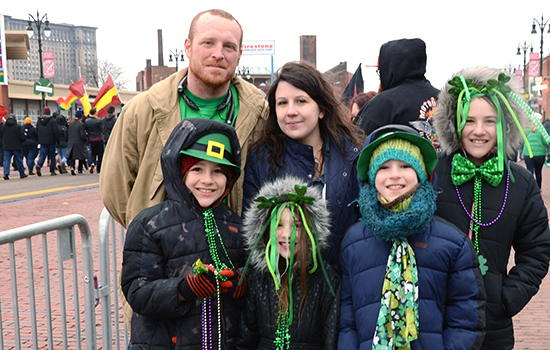 2019 was the 2nd year for the Family Fun Zone, where families watched the parade in heated grandstands in a reserved, family friendly area, with reserved parking. It was another huge success! 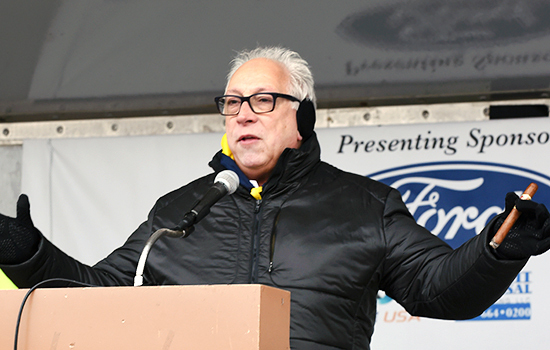 Paul W Smith of Radio 760 am WJR presided as Master of Ceremonies on the Judges Reviewing Stand. Paul introduced all marching units, dignitaries and honorees as they marched pass the Judges Reviewing Stand at the culmination of the parade, in the shadows of the Ford Michigan Central Train Station. 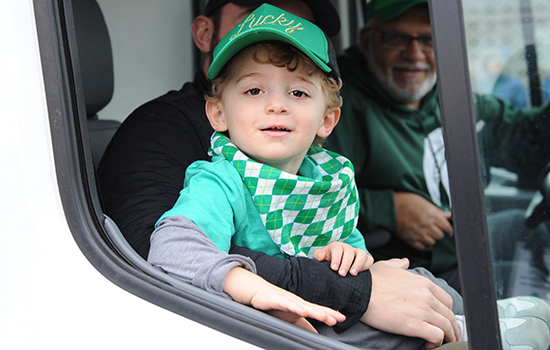 A heartfelt thank you for everyone who volunteered and companies that sponsored the 2019 parade! 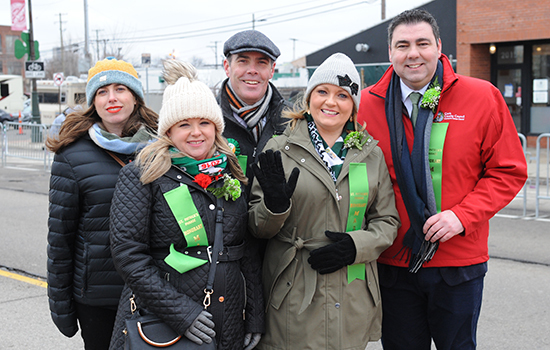 There was countless hours, effort and dedication that went into making the 2019 parade the huge success it was.